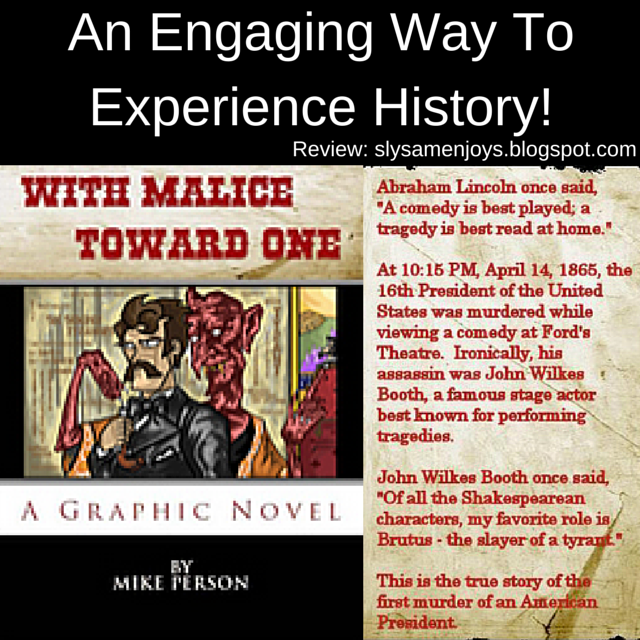 With Malice Towards One Brings You Back To The Time of Lincoln - Sam Enjoys & Shares! 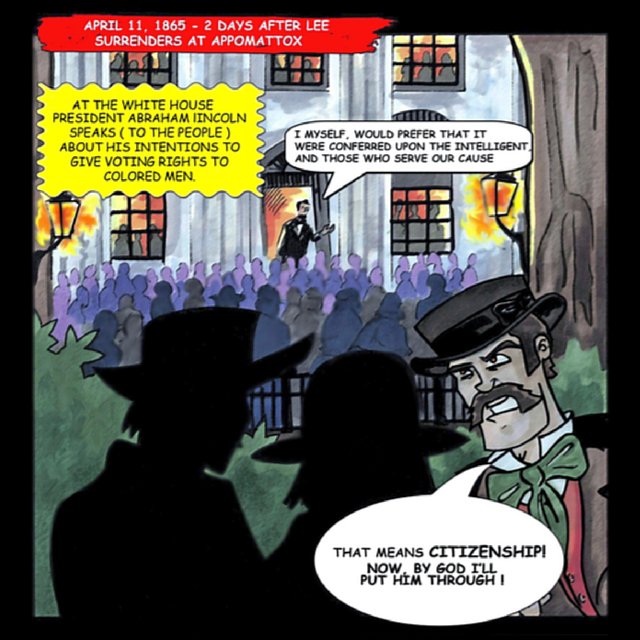 The graphic novel With Malice Toward One by Mike Person brings history alive for children and adults alike! The novel focuses on historic events surrounding the assassination of President Abraham Lincoln. I received a complimentary review copy of With Malice Towards One to facilitate my review. All opinions are my own based on my experience reading this book. I was impressed with the illustrations, writing style and the educational exercises at the end of the book. I included a couple images from the book to give you a taste of the style. It is clear that author Mike Person felt committed to making this book an educational resource. After the story, there are numerous educational exercises and resources including a word find, quizzes, games and a glossary. As an adult, I found With Malice Towards One to be a quick, entertaining and informative read. I enjoyed it very much and learned a couple details about this important historical event. 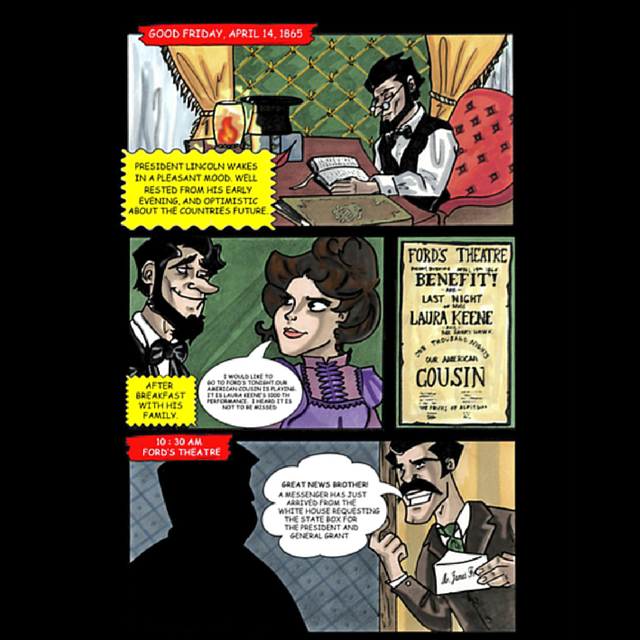 The graphic novel style makes it a more immersive experience for people who are more visually oriented. It is also available on Amazon (affiliate link to follow): Paperback With Malice Towards One by Mike Person.